Start by mixing the heavy cream and the vanilla extract in a cooking pot and allowing the mixture to warm up for 10 minutes on a low temperature In a different bowl, blanch the egg yolks and sugar by whisking the mixture and then gradually stir in the warm cream. Pour the mixture into your ramekins using a cooking spoon and fill the ramekins as close as you can to their edges. 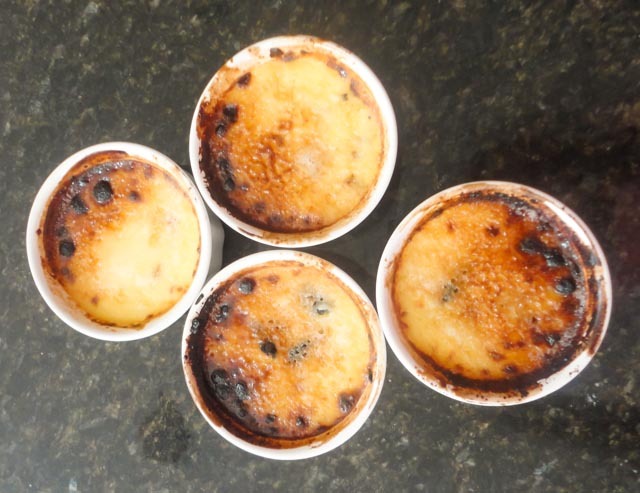 Place the ramekins in your baking pan, and put the baking pan in your preheated oven (the oven should be preheated to 275 degrees F), and then pour about three cups of boiling water in the baking pan around the ramekins. Allow the custard to bake in the oven for about thirty minutes. The custard will be quite wobbly when it is set. It should not be liquid in the center and it will firm up considerably in the refrigerator, so take out when it has that jiggly consistency. 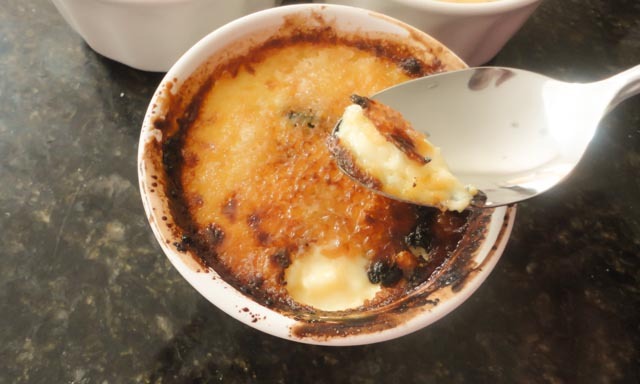 Carefully take the ramekins out of the oven, and put them in a refrigerator for at least 2 hours until it is ready to serve. Two hours later, sprinkle a fine layer of sugar over their tops, this layer should be of even thickness. You can sprinkle the sugar and then shake it back and forth to evenly spread it. Now the fun part, move the top rack in your oven up as high as it will go. 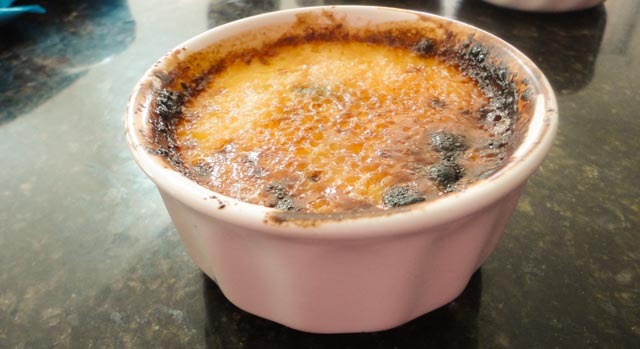 Place the ramekins in the oven on the top rack and turn on the broiler. Broil for about 5 to 10 minutes, rotating the ramekins so they broil evenly and then take them out when they are golden brown and bubbling. Serve at room temperature. Let me know if you have any questions/concerns/suggestions!